There are various part numbers for these units, below we have listed the most common failing part numbers we’ve seen, however, if your part number is different we may still have the unit in stock available on a next-day service. New units can cost upwards of £700 and may require coding. Our remanufactured parts are a direct fit and will be much more affordable. If you have similar symptoms as mentioned above, then contact us today. We can offer affordable own-unit rebuilds and replacement units, both remanufactured and brand new parts. We offer a lifetime warranty and fitting services available. For more information, please email us or call us today on 0844 847 9999. Tags : A0001410525, A0001415725, A0001416525, A0001419125, A0001419725, Audi Throttle Bodies, Audi Throttle Body Problems, Mercedes C-Class Cutting Out - Replacement Throttle Bodies, Mercedes C-Class Throttle Bodies, Mercedes C-Class Throttle Body Problems, Mercedes C/E/S-Class Losing Power - Replacement Throttle Bodies, Mercedes E-Class Cutting out - Replacement Throttle Bodies, Mercedes E-Class Throttle Bodies, Mercedes E-Class Throttle Body Problems, Mercedes S-Class Cutting Out - Replacement Throttle Bodies, Mercedes S-Class Throttle Bodies, Mercedes S-Class Throttle Body Problems, Mercedes Throttle Body - Poor Idling, VW Throttle Bodies, VW Throttle Body Problems. Hi, i hava a trottle bodie to Rapier. Number is 0001416525. Somein hast changed the wire but it doesn’t work. Please Tell me what a complete repair costs incl. Shipping. To Germany, and how Long i Must wait. I have sent you an email with some pricing and further information. Can you please tell me if you can help with this. We should definitely be able to help with this. 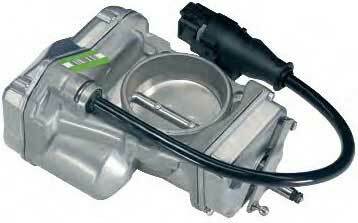 I’ve sent you an email with full pricing and information to test and repair your Mercedes S500 Throttle Body unit. I have a w140 coupe s500c v8 m119 engine. My foreman told me its the throttle body wiring harness starting to disintegrate. He gave me this part no . 0001418925 . Can u confirm this Diagnosis is correct ? R u able to supply me a replacement part ? Can you advice total cost incl shipment to singapore . I can also be reached via whatsapp +60122******. That sounds about right – the part number does match your vehicle and it’s a very common problem to have. 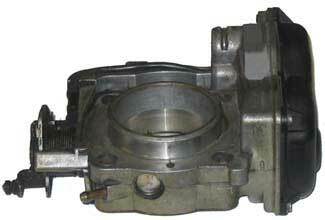 We are repairing this type of throttle body very often and I’ve sent you an email with full pricing and information on how we can help you. I have a Vito V230 W638 and it is stuck on limp mode. I have been told it may be a faulty throttle valve. I have replaced the throttle valve about 3 years ago for a similar problem. Could it also have failed?The part number is A 000 141 05 25. How much would a reconditioning kit (if available) cost. Failure to repairing with a kit how much would a reconditioned throttle valve cost. Would Shipping to South Africa be possible? If you replaced it with a used part then it was simply a matter of time before the used part also failed as it is an extremely common fault and we are receiving these units on an almost daily basis for testing and repair. We have sent you an email with full pricing and information including how we can offer our services to you in South Africa. I have Throttle body faulty on my audi a4 s line it is 05 plate and the original price is too expensive was wondering if you guys can Recondition mine. We do have a solution for testing and repairing the throttle body fitted to a 2005 Audi A4 S-Sline. We’ve sent you an email with full information and pricing. If you have any further queries regarding this, please respond to the email and we’ll get right back to you. I am looking at buying a C class 180 Merc, which is a bargain, but i Believe the throttle body is playing up as it is not Idling well and hunting a bit, I don’t want to end up getting a cheap car that costs loads to fix, can you give me a ball park cost to refurbish the throttle body.